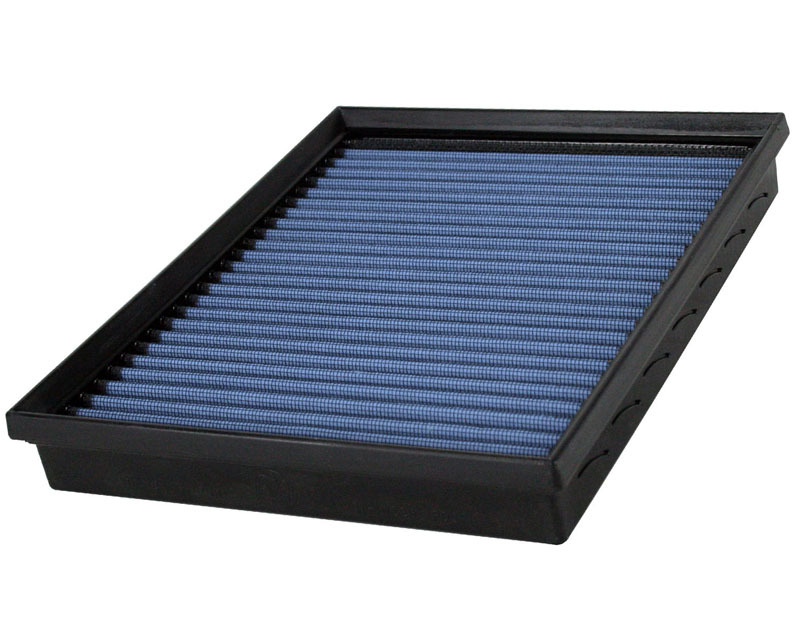 Constructed with 100% polyurethane on all four sides, this high-flow, oiled OEM replacement performance filter will outflow the stock filter by up to 33% for improved horsepower and torque. 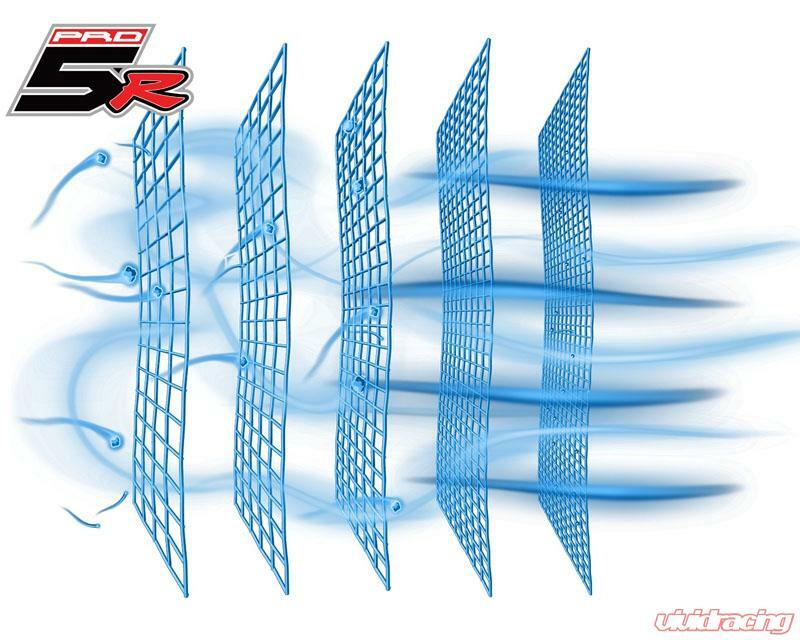 The Pro 5R air filter uses five layers of progressively finer mesh cotton gauze media to provide maximum airflow for best performance results.The progressive layering of media allows the filter to flow at high levels even when dirty. The Pro 5R filter media has been tested at 98.6% efficient. Washable and reusable for multiple cleaning cycles, the tall, open, evenly spaced pleats provide excellent dust holding capacity for a longer service cycle between cleanings. aFe performance air filters use a rounded pleat design which produces more useable filter surface area for increased flow and greater dust holding capacity. 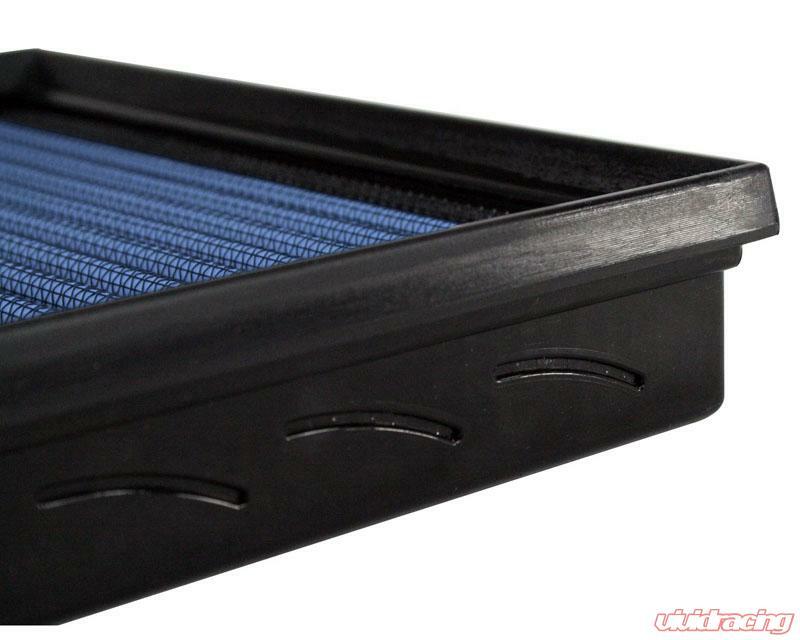 This pliable sealing surface conforms to even the most uneven filter housing. This design eliminates the use of gaskets or sealants. An integrated urethane bump seal insures tight, no leak seal over the life of the filter. The soft urethane construction always goes back to its original form so you will never compress the bump seal. This makes for a perfect filter fit and sealing surface every time. aFe Power performance air filters are constructed using full 360 degree urethane frames. This construction allows for a proper OE style fit with excellent filter strength. aFe Power OEM replacement performance filters have a limited lifetime warranty.